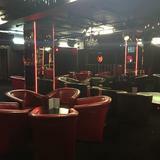 Venus Gentlemens Club is a vibrant club that has table dancing, pole dancers and stage shows throughout the night. Do you work at Venus Gentlemens Club? 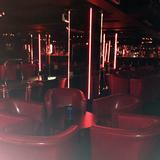 What did you think of Venus Gentlemens Club? Had a lovely night at the venus venue... The girls and the staff are absolutely amazing and I can only recommend for anyone to check out this place. A little tip, "Ingrid" is an absolutely stunning women. Not only does she have the looks of a the most magnificent women, but also the character of an angel. Overall 8/10 for this place! Some women can be quite agressive, but "ingrid", drinks, location and design make up for it. Formerly Burlesque City, Venus Gentlemen's Club is not exactly 'burlesque' but its retro cinema signage and torch-lit doorway do give a sense of occasion. This doesn't dissipate thanks to the quality of the dancing and hostessing in this relaxed and welcoming venue. For those arriving via the creaky old Met or mercurial Hammersmith & City lines, Farringdon Road is right out of the tube. Anyone arriving in style on Crossrail will probably want a few minutes to take in the majestic new station before turning left. Venus Gentlemen's Club is next door to The Sir John Oldcastle Wetherspoons pub and can be seen from the junction where Cowcross Street meets Farringdon Road. Take a flight of stairs down, deposit raincoat and trilby in the cloakroom on the right (£1 per item) and enter the comforting UV-lit, red leather-accented murk. There is a corner bar on the right, blue-lit little brother to the breadth-of-the-room optics extravaganza found at the rear. Alcoves to the right have 'Greek temple' ornamentation and, to the left, heavy black curtains hang on chains, to be closed by male floor staff for private dances. The room feels as large as a tennis court, so it must be quite daunting to step up to the single pole in the centre of the room. Perhaps this explains the slightly physio-esque rails that run up to it; it's in case the girls get shaky. At earlier times it can be quite quiet here - a table dancing venue doesn't come alive until the witching hour and beyond. But it's fair to say that any silver-haired gentlemen at the bar or groups of twenty-something lads are well cared for and enjoying themselves, regardless of the time of day. There is also something to be said for anonymously nursing a drink before the night really gets going. It feels strangely intimate to watch dancers gathered together in repose, chatting and texting, one girl with her leg swung over a red leather armchair. They wait for the DJ to call them up to the pole and it's quite something to see the transformation. The DJ is a character: “Cake to the stage – come on Cake, you've got to burn off some calories, get that body ready for the beach.” Cake is actually a Hungarian girl called Monica. This isn't her real name either. None of the mainly Eastern European girls (Czech, Hungarian, Polish, and an anomalous Spaniard) use their real names. But Cake is so-called because of the tattoo of a slice of cherry pie on her left flank. She has that ability that all great pole-dancers have; a trick of slowing down time. Her movements are languorous, hardly aware of the music, fascinated by her own body. The music, it must be said, bumps along very nicely. Some contemporary club hits (Labrinth's Earthquake) and some darker stuff for a Polish girl with a disconnected haircut and urchin's face (Placebo's Pure Morning). But the DJ definitely wants to share the 90s euphoria (Gat Décor's Passion, no less). 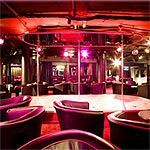 This is a lap-dancing venue. It helps to pretend the money is just, well, bits of paper. And remember, there is a Wetherspoons next door. Wines and beers start at £6 and prices jump exponentially with a trip to the top shelf. If the budget stretches, try a Sambuca-loaded B52 or a Jäger-bomb – heavy ordnance. 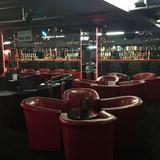 This is a comfortable, nicely laid-out venue with great music and some chatty, fun and hot girls. It's not ostentatious or intimidating and this is its strength. As Kate, one of the more experienced dancers and something of a den-mother puts it, she has worked in clubs across London but always comes back to Venus because it's so friendly: "The men come here to relax and we do our best to make sure they enjoy themselves." It's a simple formula that works.